Look for these natural preservatives in cosmetics instead for healthier skin. Let’s talk preservatives in cosmetics. Most of the time, when you’re shopping for a new skin care product, you’ll come across preservative ingredients that do more harm than good for your skin. Conventional cosmetics contain synthetic preservatives that can disrupt your endocrine system and even cause birth defects. You might be familiar with one of them - parabens. At the same time, we don’t want our precious facial serums to go rancid. That would lead to even more irritation on our skin. While you can’t go completely preservative free, you can choose natural preservatives that keep your products fresh and also soothe your skin. Here are the synthetic preservatives in cosmetics you should avoid, and the safer alternatives to choose instead. Preservatives in cosmetics are used to prevent bacterial and microbial growth, but synthetic versions can cause adverse long term health effects. Parabens and formaldehyde-releasing ingredients are commonly used in conventional products, but studies have shown the harmful effects of exposure to these ingredients. A common type of synthetic preservatives in cosmetics are parabens. Parabens are used in food, beauty, and personal care products. 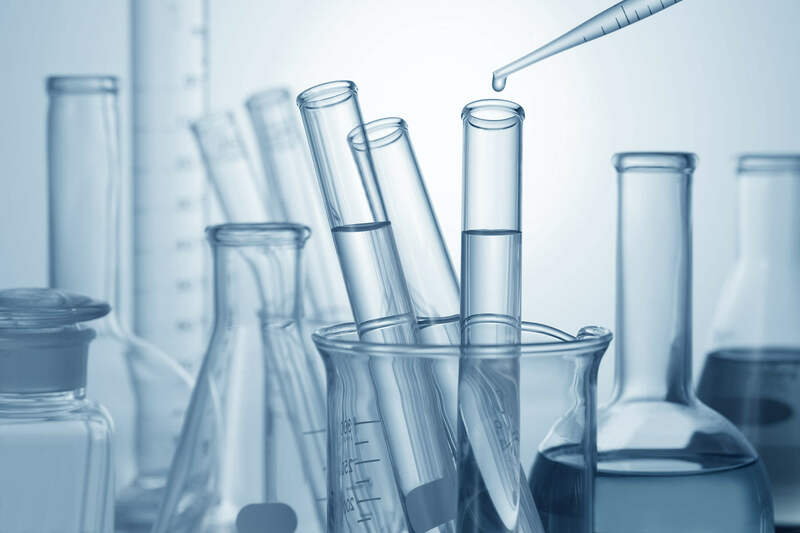 Some common parabens include methylparaben, propylparaben, butylparaben, and ethylparaben. While parabens do help prevent bacterial growth in these types of products, they’ve also been linked to hormonal disruption because of how they can imitate estrogen. That’s because the cosmetic ingredients we apply are absorbed through our skin, and can interact with the chemical and hormonal functions that occur in our bodies. Studies show that parabens artificially mimic estrogens in the body, leading to a host of metabolic, developmental, hormonal and neurological disorders. Even more disturbingly, parabens have been found in human breast cancer tissue, suggesting a link between parabens and cancerous growth. This is why we strongly recommend you to look for cosmetic products that are paraben free. Conventional cosmetic products also use synthetic preservatives that release formaldehyde over time as a way to preserve products. Some examples of these preservatives in cosmetics are DMDMH, bromopol and glyoxal that are used as antimicrobials in moisturizers. The problem is that formaldehyde is a known human carcinogen linked to damaging long term health effects. A study found that the longer these formaldehyde-releasing ingredients are stored, the more formaldehyde is released and can cause more problematic health effects. In other words, while these synthetic preservatives are effective at protecting cosmetic formulas for longer periods of time, they also end up posing even more harm to your health. We highly recommend that you avoid synthetic preservatives in cosmetics such as parabens and the formaldehyde-releasing ingredients listed above. It’s possible to create organic skin care products free of these harmful ingredients that rely on beneficial, plant-based alternatives instead. Choosing organic skin care is already a guarantee that you’re keeping these toxic synthetic ingredients out of your body. 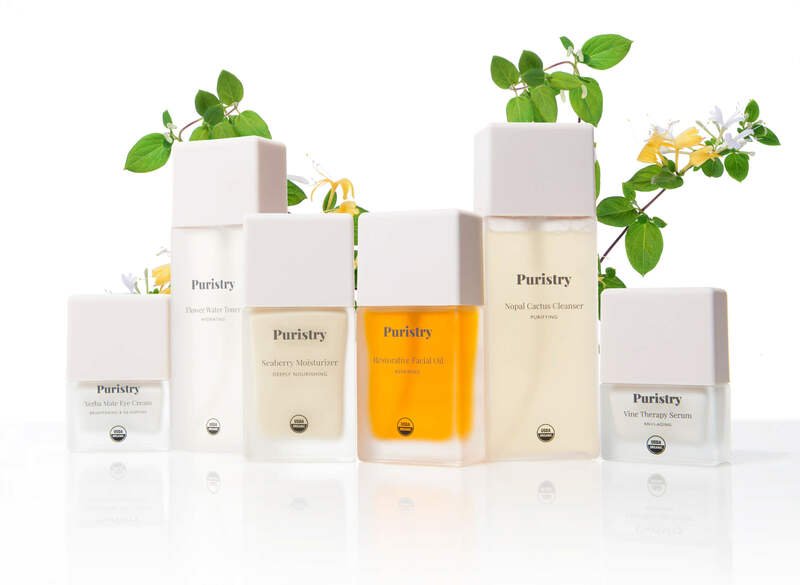 Our organic skincare products are preserved using herbs such as Japanese honeysuckle. Japanese honeysuckle is a powerful natural preservative that serves as a healthy alternative to synthetic parabens. It’s the optimal preservative for organic cosmetics due to its natural derivation process and non-toxic chemical profile. 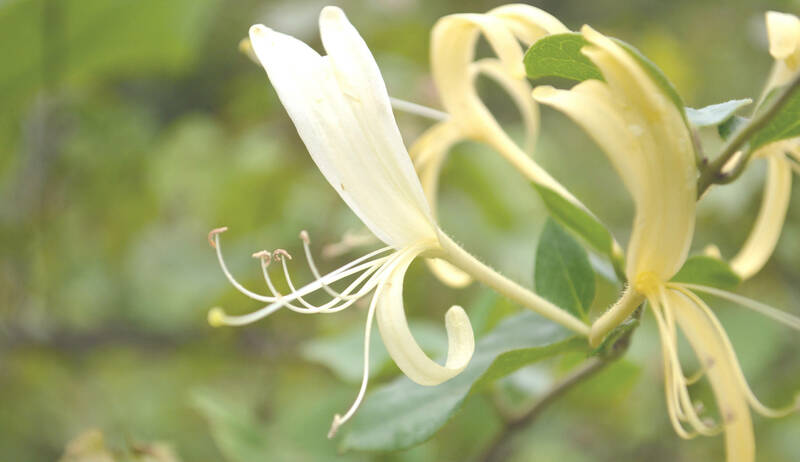 Our Japanese honeysuckle extract is obtained through steam distillation, where the flower is converted into phytochemicals with potent antimicrobial and antibacterial properties. The para hydroxybenzoic acid found in Japanese honeysuckle has a different chemical structure from synthetic parabens, and is a natural substance found in most plants and animals as a natural protectant against harmful bacteria and microbes. What’s more, Japanese honeysuckle extract is soothing for all skin types and works synergistically with other natural ingredients. For example, it complements the organic rose water and calendula hydrosol in our Flower Water Toner. 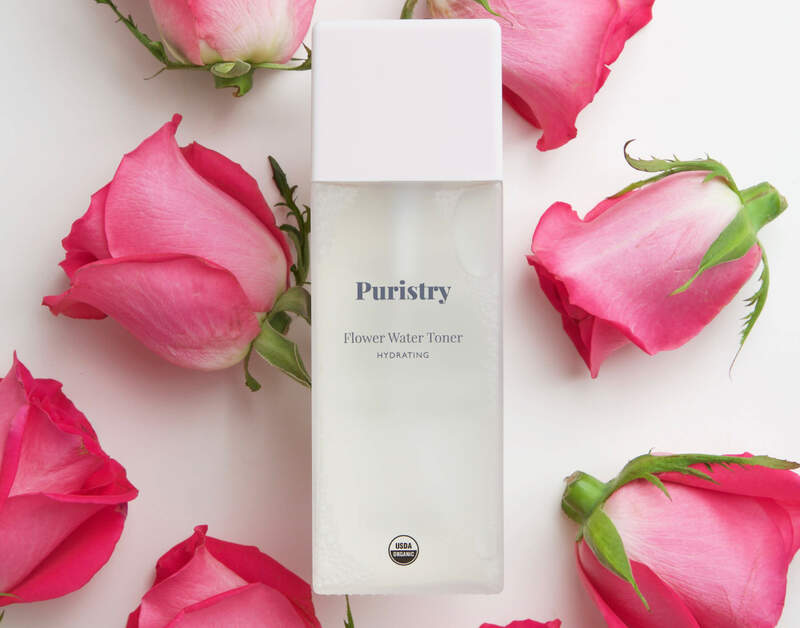 The potent yet light toner serves as a soothing anti-inflammatory formula that cleanses away remaining debris from your skin, and hydrates skin for better absorption of richer products. In addition to Japanese honeysuckle extract, we also draw on cold processed plant oils and high concentrations of antioxidants and vitamins to create a natural preservative system for organic skin care. For example, organic sage oil demonstrates significant antibacterial and antifungal activity, making it an excellent natural preservative in our Nopal Cactus Cleanser, Restorative Facial Oil and Seaberry Moisturizer. Sage oil is also packed with vitamins and nutrients that are beneficial for your skin and help balance oil production. When using our Nopal Cactus Cleanser, the sage oil helps to clear away microbes without upsetting the natural balance of your skin. Natural preservatives are especially important when it comes to a facial oil that can be more susceptible to mold and bacteria growth when stored in warm areas. 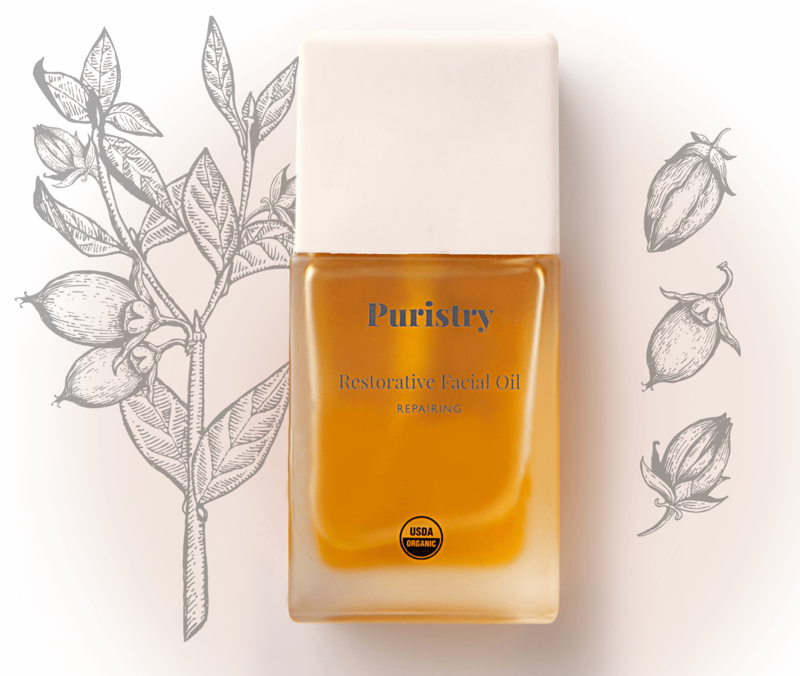 We ensure that our Restorative Facial Oil remains balanced and safe to use after opening with organic sage oil, lavender, and pomegranate oil with potent antioxidant and antibacterial properties. In addition to choosing natural preservatives, we recommend closely following the storage directions on each skin care product. Always store cosmetic products in cool, shaded locations to prevent formulas from spoiling. Use clean fingers and securely close containers after use to prevent microbial contamination. You should also pay attention to the “open jar” shelf life of each product. To check this, locate the open jar symbol on the packaging or product container. The open jar symbol will state how many months a product will last for after opening. Make sure to dispose of cosmetic products that have been opened past their shelf life and expiration date. And remember, when in doubt about the integrity and safety of the product, it’s best to toss and replenish with fresh new formulas.